Simoco Push Simoco Push is an industry leading secure Push to Talk (PTT) over Cellular solution. 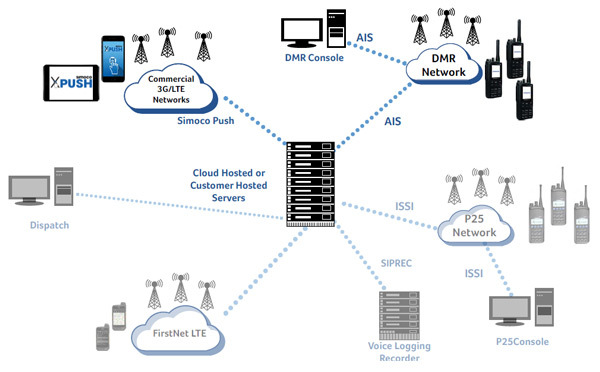 Leveraging DMR’s Application Interface Specification (AIS) protocol, Simoco Push is a fully integrated platform for DMR Tier III and Cellular PTT users. 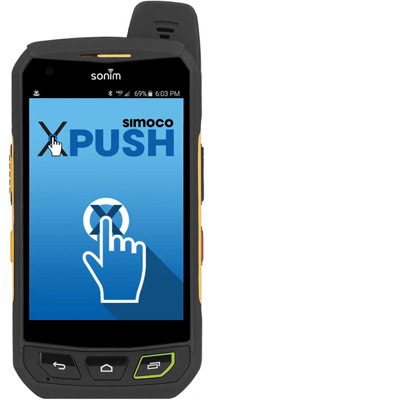 Simoco Push’s versatility allows it to be utilised and deployed in numerous professional environments; such as expanding your fleet’s communication options, increasing and extending coverage and acting as a senior level communication tool by allowing access to calls at the push of a button, without the use of a radio. The Simoco Xd SDP760 is a digital portable radio capable of operating across multiple modes, including analogue conventional, digital conventional (DMR Tier II) and digital trunking (DMR Tier III). Best in class sensitivity ensures crystal-clear communications in fringe areas and harsh environments while a compact form factor means the radio is suitable for a wide range of users. The SDP760 offers a rich feature set including full duplex calling, allowing for enhanced communications between office and field staff. Additional features include a large TFT Screen, GPS, long battery life and an Application Programming Interface (API)* capable of delivering third party applications into the hands of your operational teams. Bluetooth functionality also allows for the connection of additional wireless accessories. The radio’s ability to allow the user to operate across a variety of network signature modes means it is not only a safe and future-proof investment, but also provides a cost effective and flexible migration path for organisations managing the transition from analogue to DMR digital. 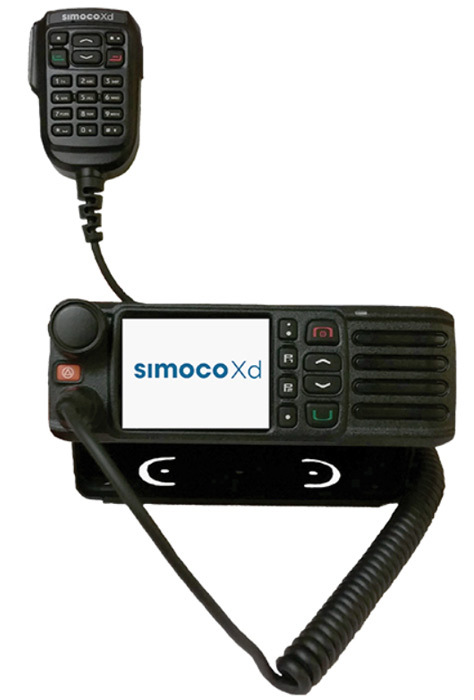 The Simoco Xd SDM730 is a digital mobile radio terminal capable of operating across multiple modes, including analogue conventional, digital conventional (DMR Tier II), and digital trunking (DMR Tier III). Best in class sensitivity ensures crystal-clear communications in fringe areas while full duplex calling capability, allows for enhanced communications between office and field staff. Additional features include Bluetooth functionality, GPS and a rich Application Programming Interface (API)* capable of delivering third party applications into the hands of your operational teams. The industrial temperature specification, military test specs, IP 54 rating, noise reduction and 5W audio level mean it is well suited for communication in harsh environments. The SDM730’s ability to allow the user to operate across a variety of network signature modes means it is not only a safe and future-proof investment, but also provides a cost effective and flexible migration path for organisations managing the transition from analogue to DMR digital. 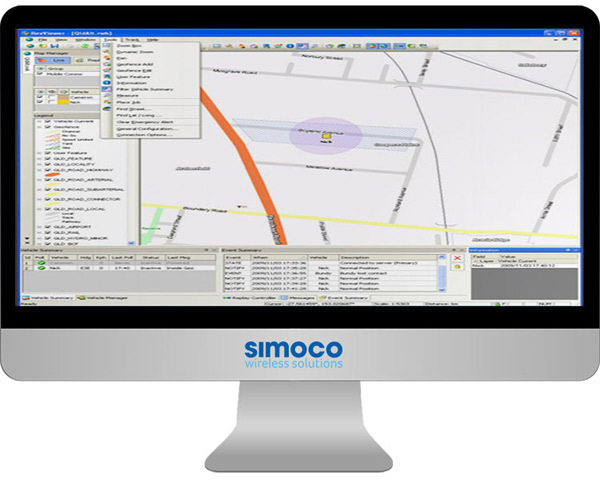 Simoco Pulse is a suite of products which enable organisations to deploy SCADA telemetry applications over narrowband PMR. For customers who already have RTUs either integrated into their equipment or have exiting RTUs deployed over unreliable unlicensed UHF or public networks such as 3G or GPRS, Simoco Wireless Solutions has developed a data modem product. The data modem directly interfaces with any RTU that uses standard telemetry protocols, and transport data back to the SCADA master using reliable digital over licensed VHF or UHF channels. 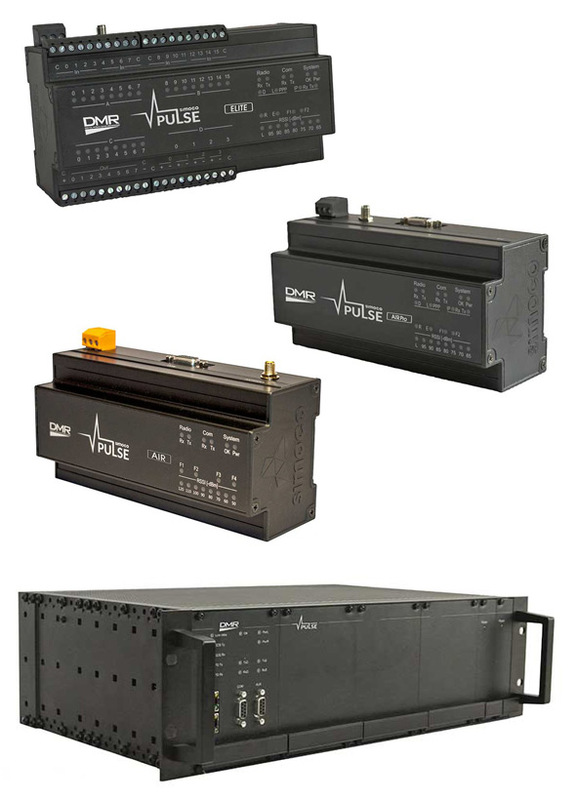 The Pulse AIR has been specifically designed to address the needs of customers who have equipment using only DNP3 protocol and the DNP3 Gateway has been integrated into the Simoco DMR Xd base station to provide the most optimised and cost effective solution. To complete the solution, Simoco offers a range of Gateway products which enable the SCADA master(s) to seamlessly interface with the digital radio infrastructure. Systems can either be fully deployed over PMR or can be used to form part of mixed technology telemetry solutions. Simoco’s Pulse solutions meet the needs of a wide range of utility operations’ electricity distribution; generation and supply; oil; gas and water. They also serve any sector where there is a requirement to acquire and control data from equipment and systems. Depending on the type of communications media being utilised, GPS capable remote devices can either send in unsolicited positions, be polled individually, or be polled as part of a group. Polling can also be performed on an ad hoc basis or continually according to a flexible, user customisable polling schedule. Reveloc can monitor all radio equipped resources during migration from MPT1327 to DMR. (Solution requires radios with unique individual IDs and a mobile gateway radio on each network). 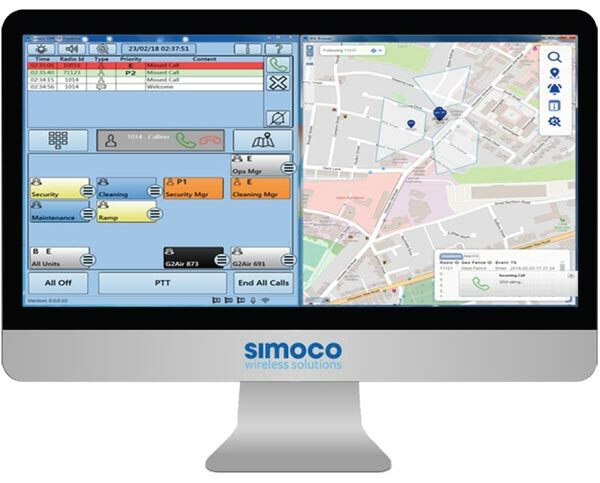 The Simoco Xd Dispatch is a user friendly trunked radio Dispatch solution with the option of fully integrated location services. It supports all DMR Voice Call types, as well as short data messages, and status updates. Furthermore, it allows you to make voice calls and send status and short data messages directly from the integrated map. Supporting instant push-to-talk voice communications and VoIP telephone connectivity as well as open-standards applications support, the Simoco Xd digital base station is more than just a radio repeater. 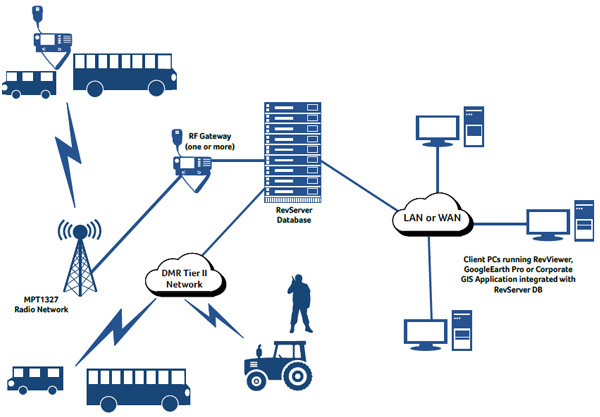 Each SDB670 forms the bridge between groups of radios and extends this to the world of IP. The SDB670 builds on the highly successful and widely deployed Xfin blade, combining RF elements and control intelligence in one box for a unique architecture that has been proven in systems from a single base station to many hundreds.